Despite being important for almost all life on earth, are coral reefs currently being threatened worldwide. We are facing such large-scale degradation, that we have already lost about 27% of the world’s reefs. This is caused by both natural and, more importantly, human impacts. If the current rate of degradation continues, 60% of all coral reefs will be destroyed within the next 30 years. Even a loss of 0.1% of ocean floor covered with corals (about 50% of all reefs) will have an enormous impact on all marine life! 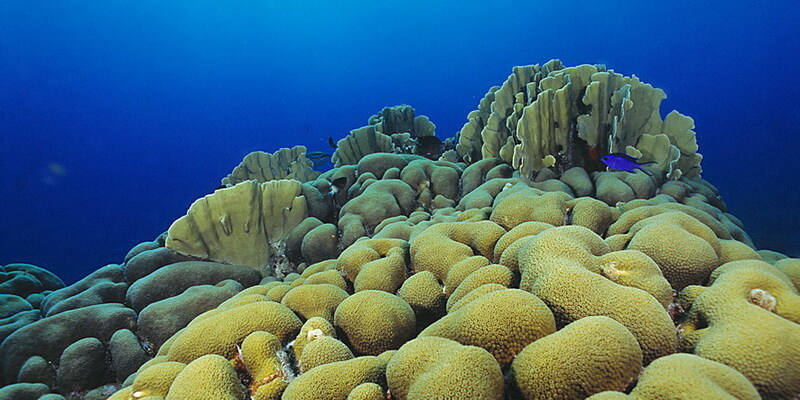 Photo: a healthy reef in 2000. 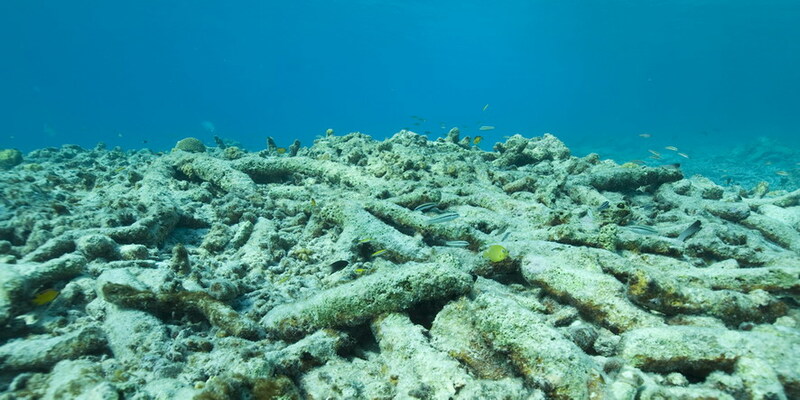 Photo: same reef 10 years later: degraded. At this immense rate of destruction, social and economic impacts for the millions of people dependent on reefs are gigantic. Poverty will increase and the food availability will decrease because of fish stock exhaustion. Fishermen will have to resort to more destructive methods of fishing to guarantee a certain catch. The fish processing industry will also suffer from this. Reef degradation will have an impact on tourism and the related income for the local environment. If reefs are no longer able to protect the adjacent coasts, expenses for artificial coastal zone protection will raise through the roof. Currently this service is provided by reefs “free” of charge. Without even trying to determine their intrinsic value, it is already clear that coral reefs contribute much to sources of food and income and several other quantifiable benefits. Of course this is true only if a good management is in place. The net potential worth of reefs is estimated to be 30 billion dollars per year. At the current pace of reef degradation, this worth can decrease by 75% in some regions. The costs for additional maintenance and new management will increase at the same time.